Are you ready for a super easy appetizer that will totally amaze your guests? Are you also tired of getting stuffed on appetizers and having no room for dinner? 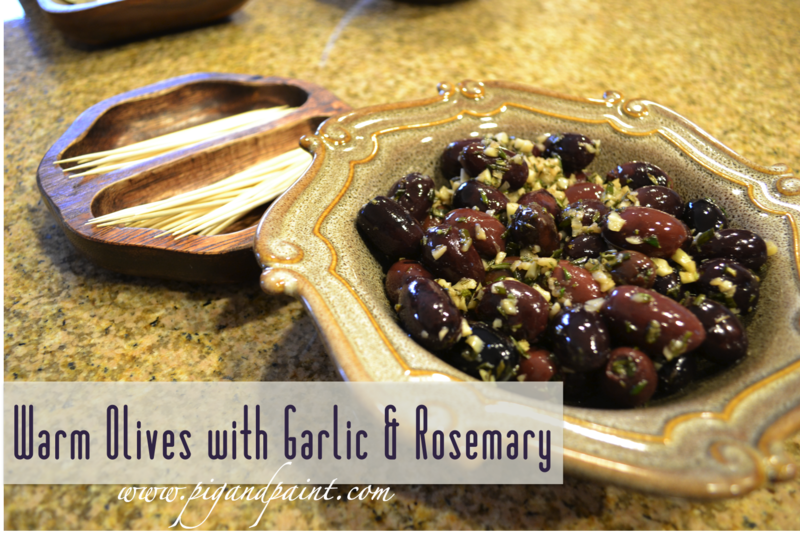 One of my favorite appetizers is warmed garlic rosemary olives. It's light, savory and incredible flavorful. It's been a hit every time I serve it, and my guests still have plenty of appetite left to enjoy dinner. 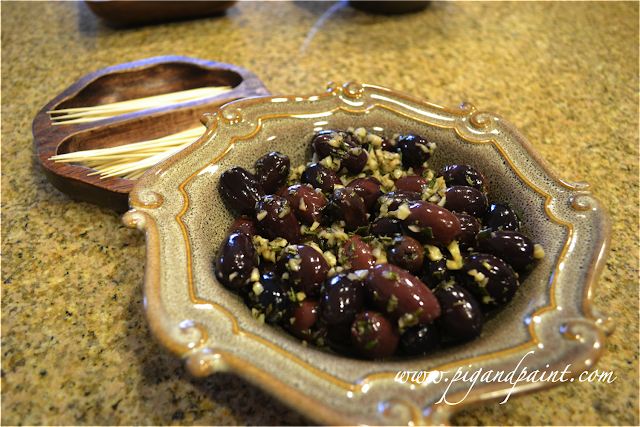 To make this, you'll need olives of pretty much any kind, though I prefer greek olives that have been pitted. I don't know about you, but I don't like to look at other people's olive pits (or cherry pits, for that matter). 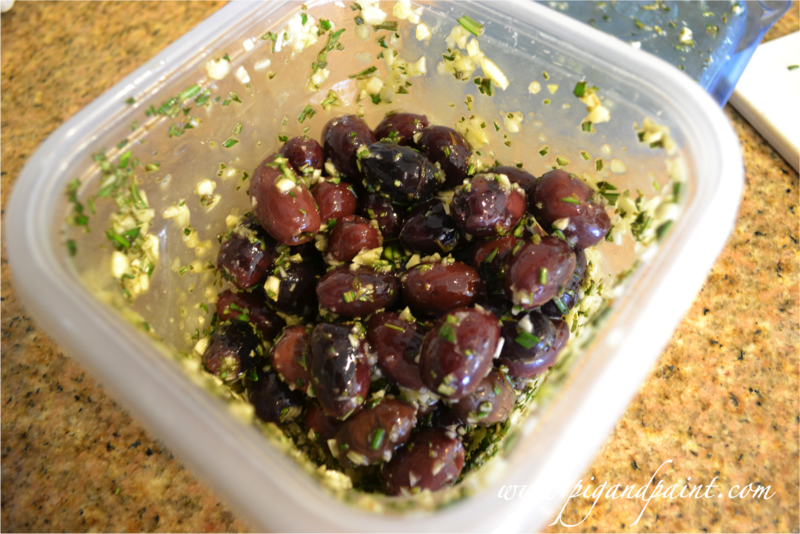 I pretty much always have kalmata olives on hand, because they're delicious. You'll also need rosemary, and garlic. 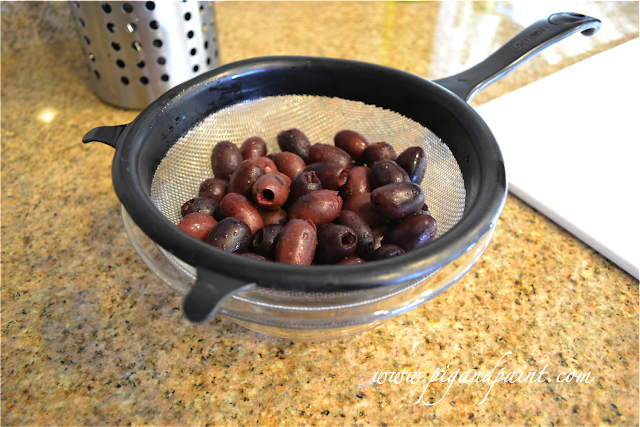 I start by rinsing and draining as many olives as I plan to serve. Make sure you let the water drain out well after rinsing. 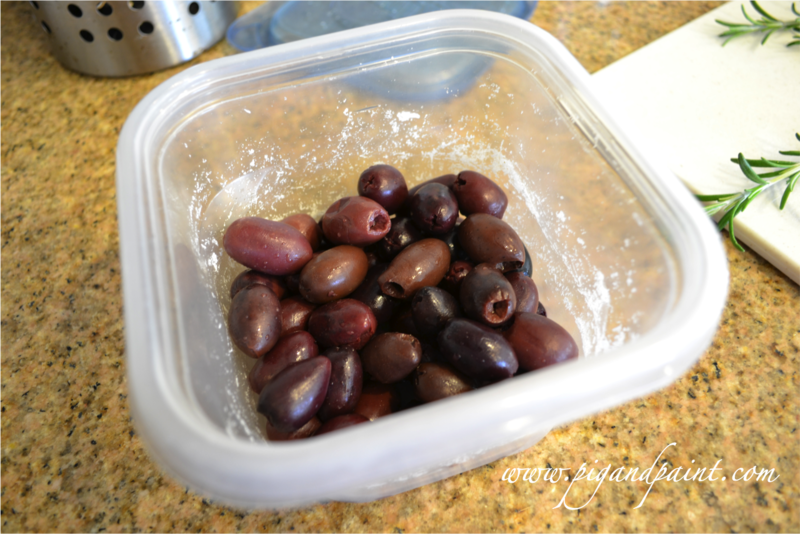 I place my drained olives in a tupperware container (don't judge my nasty tupperware!). 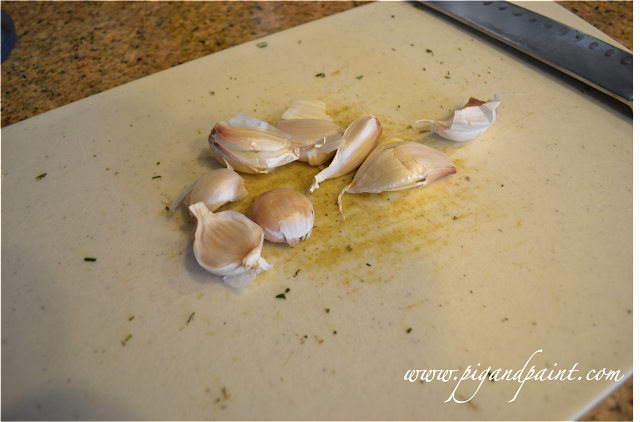 Then I add tons of chopped rosemary and minced garlic. 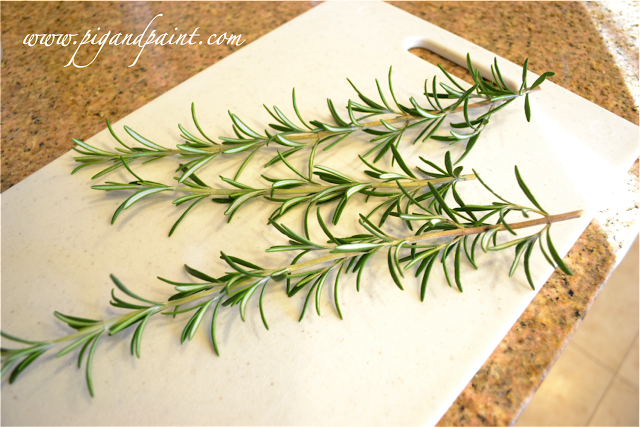 The amount of rosemary and garlic you use is up to you, but I recommend going on the heavy side. 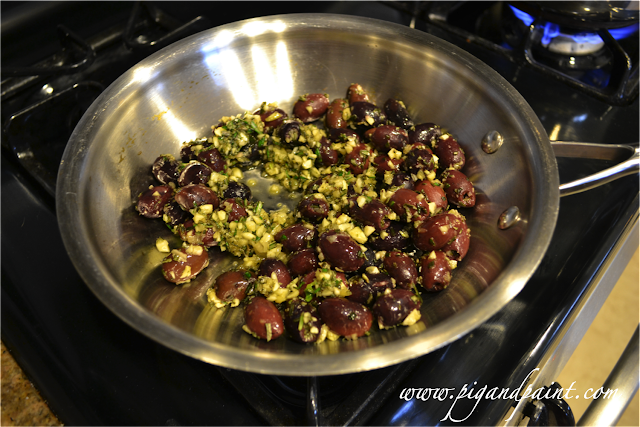 At that point, add just enough olive oil to coat the olives. 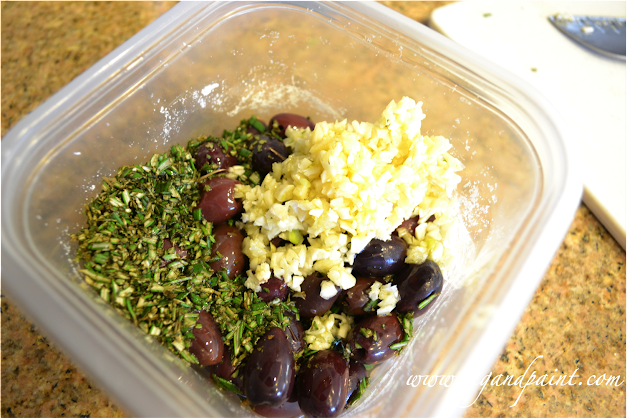 Seal the lid and shake your tupperware container to combine all of the ingredients. Place the olives in your fridge for a few hours. Just before your guests arrive, dump the contents of your tupperware container into a small saute pan, and warm the olives over medium-low heat. Once they are nice an warm, transfer to a serving bowl and enjoy! !